Since Lindy’s baby sister died, her family have been caught in a downward spiral. Her brothers are in prison and her parents have given up. Soon Lindy is out of her depth too, caught in the centre of an international drugs ring, with no way out. Then Lindy finds help from an unexpected ally: weird, mute Karl from school, and together they plan a daring and desperate escape. But when you’re in this deep, can you ever be free? 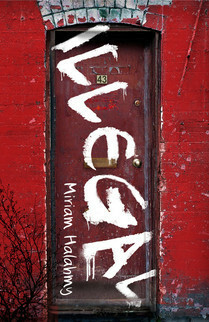 Categories: England, Essex, Social/Family | Tags: Miriam Halahmy | Permalink. For now, Shiraz is stuck on an estate in Goodmayes, Essex, with her sister Cava-Sue, her nightmare mum Diane and her loved-up mate Carrie. Hoodies, hip-hop and hanging about outside Claire’s Accessories. Taking her flatulent Staffy for a walk. Lusting after local lad Wesley Barrington Baines II. It’s a limited world for this loveable Essex dreamer. But when new English Teacher Miss Brackett arrives at Mayflower Academy, Shiraz is made to see there’s more to life than getting excluded, suped up Vauxhall Novas and Chicago Town pizza. It’s time Shiraz began thinking what she wants to do with life. And what sort of person she wants to be. A lot of snooty folk call Shiraz Bailey Wood a chav. 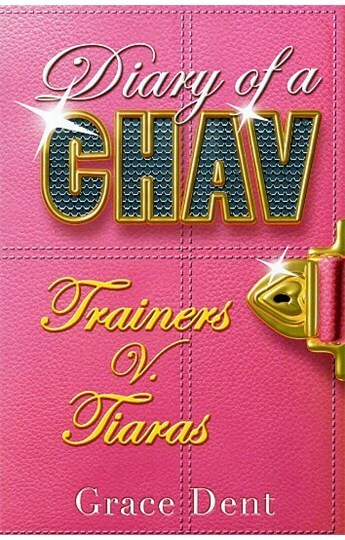 Well if by ‘Chav’ you mean ‘Charming, Hilarious, Articulate and Vibrant’, Shizza doesn’t mind that at all. Call her what you want. She don’t care. She’s keeping it real. Categories: Blog, England, Essex, Humour, Social/Family | Tags: Grace Dent | Permalink.